Jim VanBebber's notorious, blood-drenched cult classic Deadbeat at Dawn rises again on the advent of its 30th anniversary, newly restored for the first time on Blu-ray. Locked and loaded with a raft of new extras, see Deadbeat as you've never seen it before - in all its head-busting, bone-crushing glory! Written by, directed by and starring VanBebber, Deadbeat follows the story of Goose - a gang leader whose girlfriend is brutally slaughtered when he attempts to leave the thug life behind. Pulled back into the gang, who've now formed an uneasy alliance with the thugs that butchered his girl, Goose sees an opportunity to exact his brutal, deadly revenge. 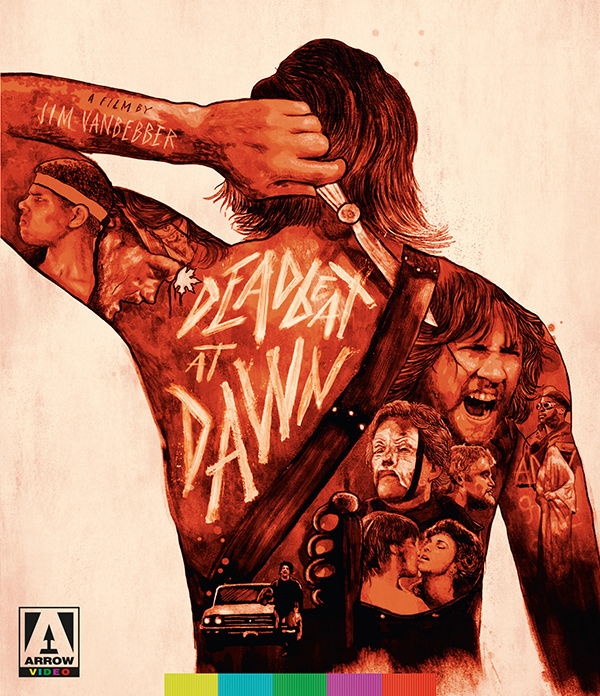 The very definition of DIY, independent film-making (VanBebber quit film school after his first year and used his student loan to fund the movie), Deadbeat at Dawn surpasses its low-budget origins to create a revenge movie that delivers more thrills and bloody spills than all of Chuck Norris' films combined.